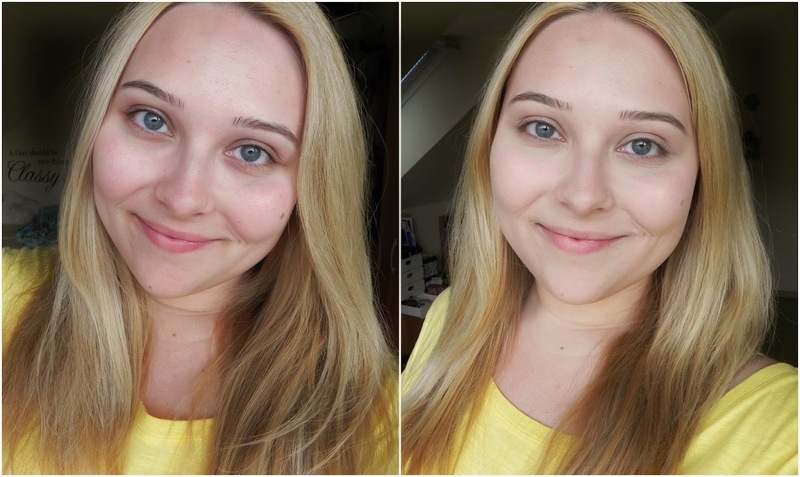 Rimmel Wake Me Up Foundation is probably the most raved about foundation of this summer. Every review that I have read was positive, and when I noticed that people describe it as dewy and great for dry skin, I knew that I had to try it. The foundation comes in a sturdy glass packaging with a pump, which is definitely welcoming. I still don’t know why some companies keep coming out with foundations without pumps. It makes the application extremely messy and the amount of product that gets poured out is ridiculous. 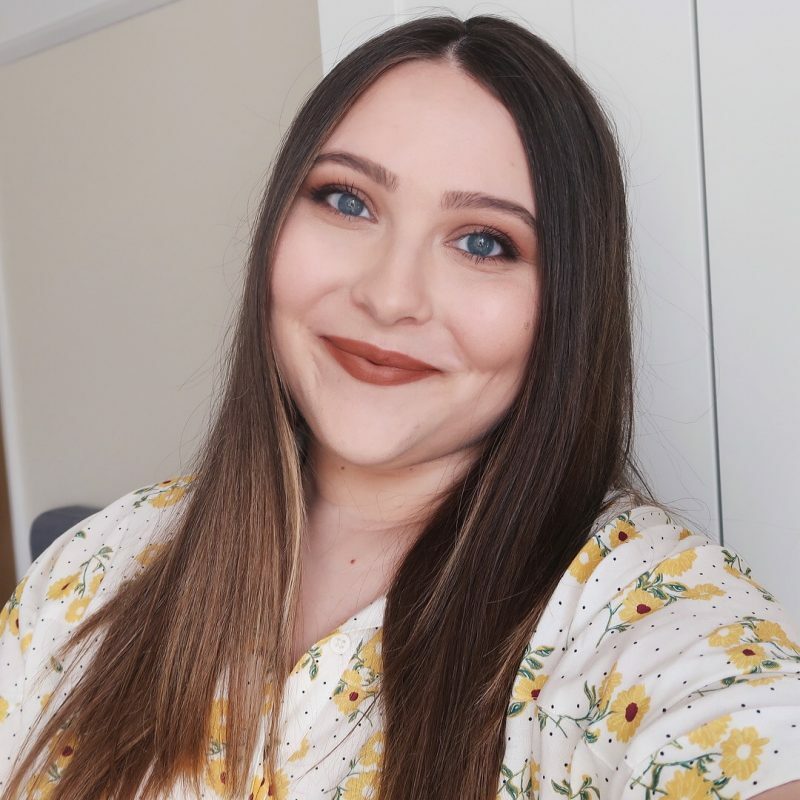 My favourite thing about the Rimmel Wake Me Up Foundation is that it feels extremely light on my skin, but still offers a decent amount of coverage, which I would describe as medium and buildable. When you observe the foundation in the bottle, you can see that it contains tiny shimmers, but once you apply it, the shimmers are not visible at all. Your face does look quite dewy, though, so I think this is where the invisible shimmers do their magic. In terms of durability, the foundation stays on my dry skin all day long. However, I do have to powder my T-zone if I’m going out in the sun, because the foundations starts to melt off there once my skin gets oily. And now one last thing – dry patches. Dry patches are definitely my main skin problem and I cannot seem to find a foundation that wouldn’t cling to them. This one is no different. But I did figure out what I need to do to minimize this problem. I need to stay away from brushes and apply my foundation with a wet sponge. I love this foundation, I think its great for my dry skin but like you, I do find I can only use this while I have a tan! I find even their lightest shade is too orange toned for me, which is a shame as its a really great foundation! Glede luskic, mogoče lahko probaš s kremo Embryollise, lepo zapolni vse in puder res lepše drsi po koži. U, hvala! Potem jo moram pa sprobat. Katera točno pa je? I LOVE the before and after pic. Whenever I've looking for foundations, I'm always hoping for a before and after pic to show the transformation and I love it! I came here just to read the review of the foundation and to make sure if its colour is good for me..cause I've got really pale complexion…I didn't plan any comments but I must say this..YOU ARE INCREDIBLY BEAUTIFUL! to be honest..lovey face, even without full makeup. Sorry for my english, I'm from Poland. Greetings ! Aww, thank you so much lovely!